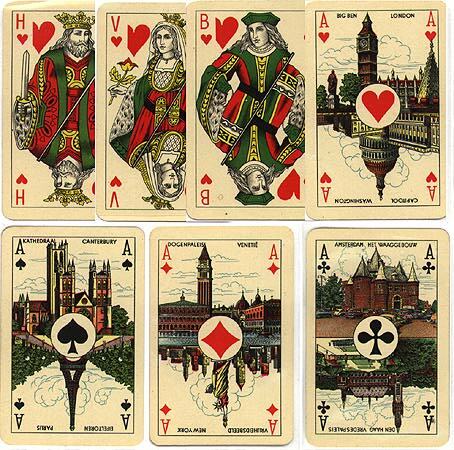 The moon and star on the ace of spades is on all the numbered cards. 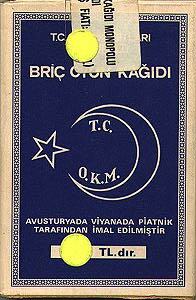 The box says "Avsturada Viyanada Piatnik" which may mean "made in Austria by Piatnik," not that I know anything about Turkish. 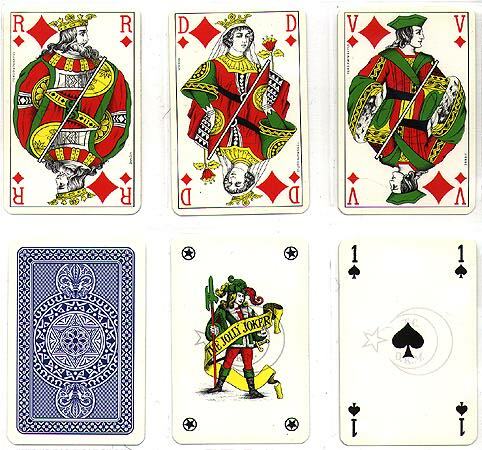 The face cards and joker are the same as the Polish or Russian Deck I have. 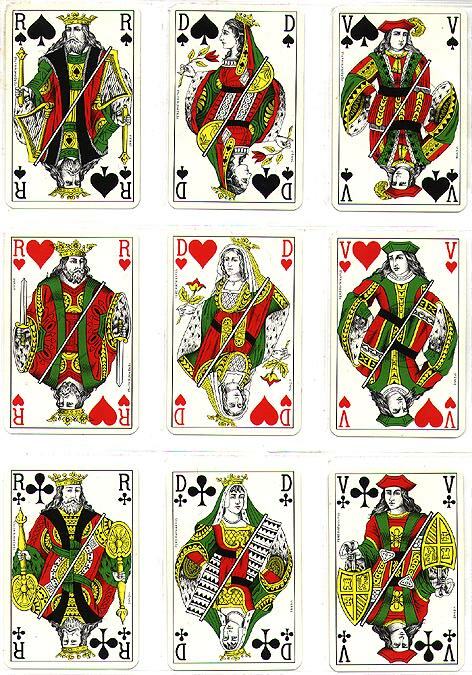 I also have this with the same face cards but with H on the kings, V on the queens, and B on the jacks.